Any player … Anyone else (unless living in a cave) knows or has at least heard of Fortnite Battle Royale. There are 100 players fighting each other on a map that gradually shrinks and where in the end only 1 (or a team) will win. 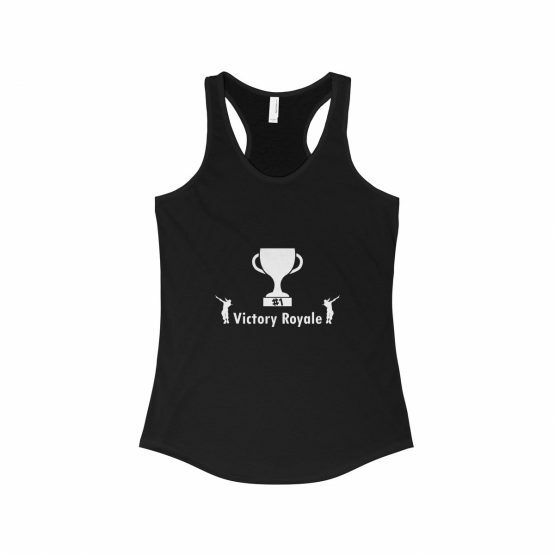 Being the last standing in the Battle Royale is not easy so if you got that done congratulations! 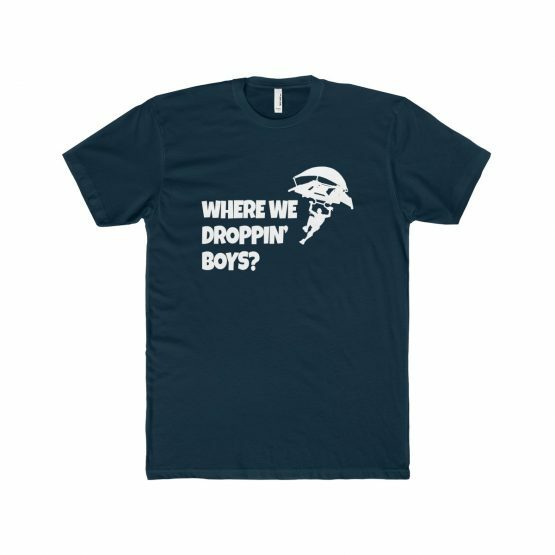 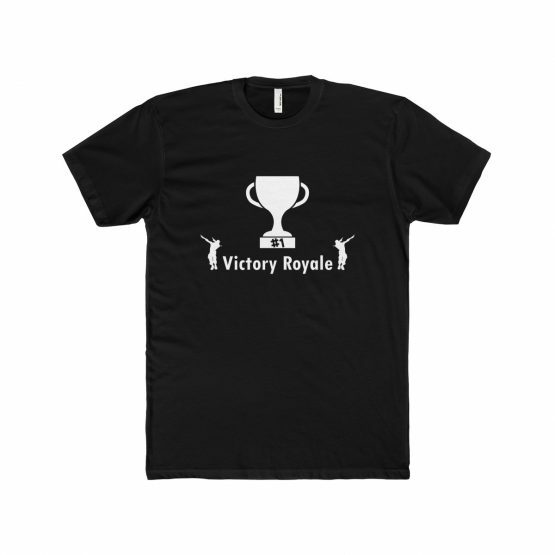 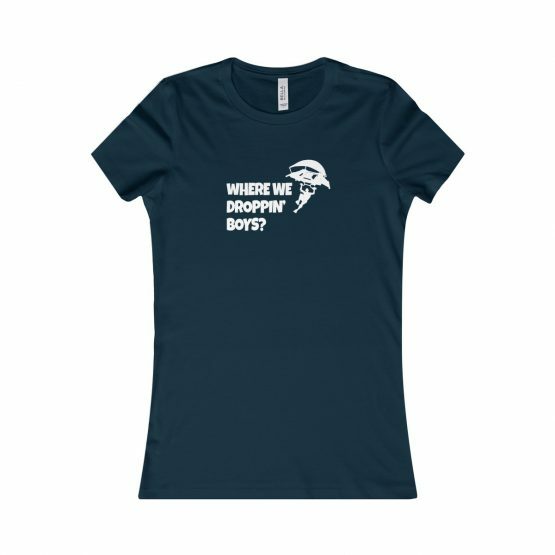 Show proudly your Victory Royale with this T-Shirt. 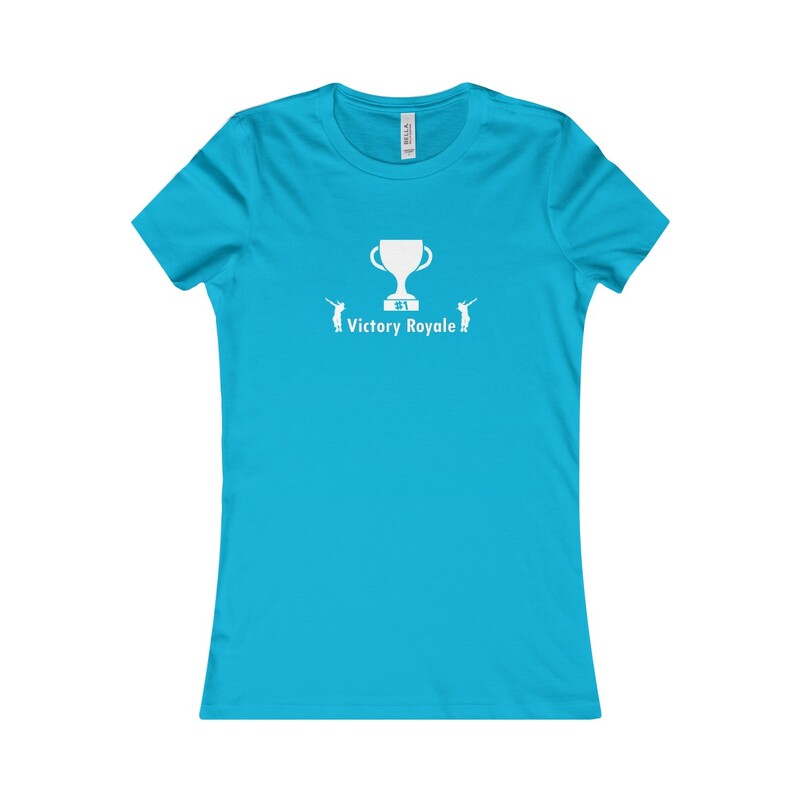 Her go-to tee fits like a well-loved favorite, featuring a slim feminine fit. Additionally, it is really comfortable.